Early this month, the European Union announced limited sanctions on various Iranian agencies and individuals over claims of a series of attempted or actual assassinations by the regime in some member states. 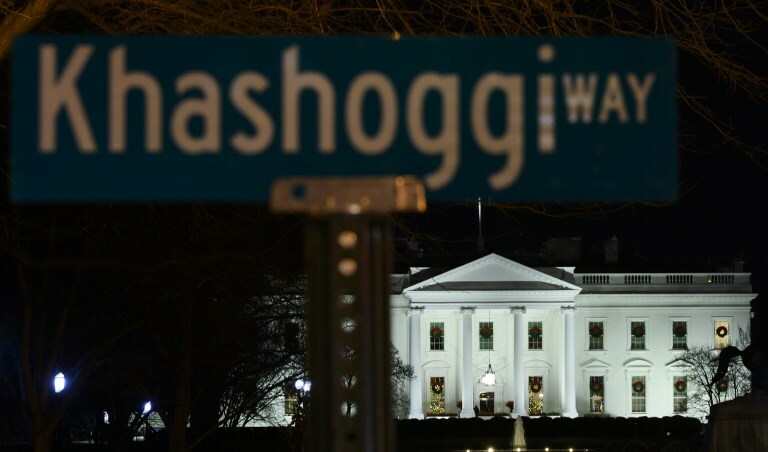 But it is a different murder, by Saudi Arabian agents, of the journalist Jamal Khashoggi that continues to dominate discussion among opinion formers and politicians in the West. Why? The suggestion of a pattern of attempted and actual killings by a foreign state across Europe would appear to be a big story, worthy of lead headlines across international media, especially in light of President Hassan Rouhani’s public condemnation of the Khashoggi killing as a “heinous” crime, saying: “No one would imagine that in today’s world and a new century that we would witness such an organized murder.” But even the EU, on whose territory Iranian plots are alleged to have unfolded, appears unfazed. It remains determined to circumvent Donald Trump’s re-imposition of sanctions associated with Iran’s nuclear program. The Khashoggi killing has dominated diplomatic and media agendas, spearheading widespread condemnation of Saudi Arabia and testing severely the kingdom’s relationship with Western allies. The reasons are not hard to discern. First, and at risk of sounding glib, Khashoggi was a journalist, and the fraternity pays special attention to the loss of one of its own. He was, by all accounts, genuine and conscientious and despite an early apparent flirtation with Islamism, a powerful advocate for media freedom in a world that is becoming less free. He was as close to a martyr as a secular and sometimes cynical profession allows. Second, the nature of the crime and the detail that entered the public domain made for compelling content. It was part Keystone Kops and part Le Carre, horrible and lurid and leaked out in stages by Turkish news outlets that had suddenly rediscovered their craft in an increasingly censored local media landscape. The story was a compelling one, with the ingredients necessary to capture the attention of members of the public who would not ordinarily be able to find Riyadh or Istanbul on a map. Third and most importantly, the killing dropped like a lit match on a barrel of gunpowder into a region riven by geopolitical rancor. For Iran, for isolated Qatar with its sophisticated network of public relations consultants, affiliations and media assets, for anti-Gulf monarchy Islamists, for critics of Israel and the war in Yemen, for all those seeking to embarrass the US and destabilize consensus between the Sunni powers, this was the gift that kept on giving. It has served to portray one set of players in the Middle East’s shifting story as the bad guys, while drawing a veil over the activities and ambitions of the other side. Fueled by Khashoggi’s death, the heavy toll of the war in Yemen has eclipsed the reality of Iranian boots on the ground across the region and the activities of its proxies from Yemen to Lebanon. Saudi Arabia, and to a lesser extent its close allies in the Gulf, need now to renew their arguments for continuing Western strategic support beyond mere trade benefits. In London at least, a vital hub for diplomatic, media and business hearts and minds, the messaging can be confused, spread among a host of embassy, think tank and PR outlets that are themselves instructed or commissioned by a host of ministries, lobbies and other bodies back home. Post-Khashoggi, Saudi Arabia and its allies need to establish a single, credible picture of threats and ambitions in the region, one that might at the very least establish moral equivalence with their opponents in the minds of those currently even less inclined to give them the benefit of the doubt.